Your resources are tight, and you’re likely understaffed. Complicating matters, your organization may not understand the value of a security operations program, despite facing a large volume of false positives. Fortunately, security orchestration, automation, and response (SOAR) capabilities can help you overcome these challenges. SOAR makes a difficult job easier and more efficient with automated workflows that improve your organization’s security by accelerating threat qualification, investigation, and response processes. Through efficiency, integrations, and automation, SOAR facilitates higher-quality incident response, optimizes workload, and eases workflow by reducing manual tasks and increasing consistency. 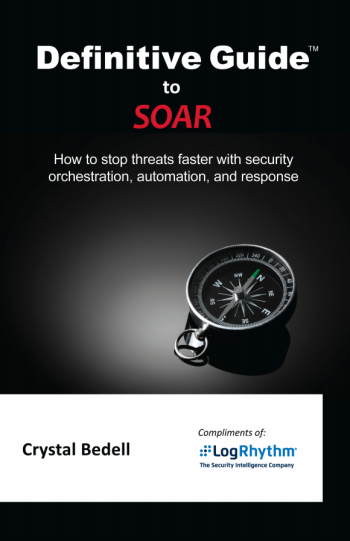 Download the e-Book to learn how SOAR can reduce cybersecurity risk, make your SOC more effective, and help you communicate the value of security to your executive team.